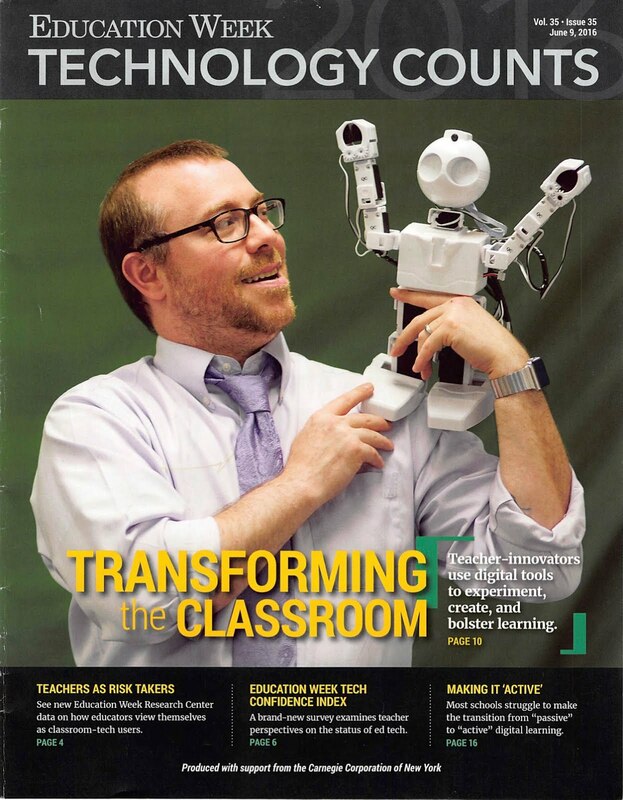 In case you missed it, here is the March Issue of Project PLN. For the April issue, we would like to honor April Fool's Day with stories of foolishness. As teachers, we often make mistakes. Not just as new teachers, but as veteran teachers as well. The most important thing we can do with our mistakes is talk about them with others and learn from them. We want to hear about your stories of foolishness and what you learned afterward. Our hope is that by sharing these stories we will let other teachers see that it is OK to make mistakes as long as we strive to improve after everything is all said and done. Also, I think it would be nice to get a good chuckle at the silly things people have done in their classes that seemed like "great ideas", but turned out to be just the opposite. If you have a great story of personal foolishness, please email them to ProjectPLN10@Gmail.com or send us a tweet @ProjectPLN. 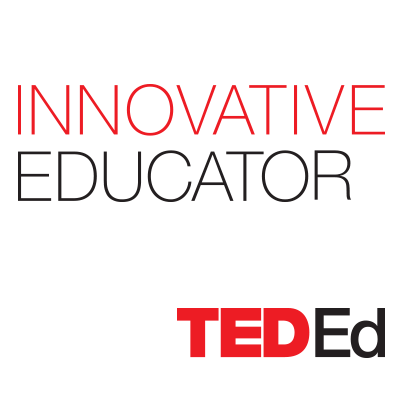 We want to continue to share with the world what wonderful teachers do each and every day. We hope you will help us help teachers around the world. P.S. - Kelly and I are going to share some of our foolishness with all of you in this issue as well, so stay tuned! Full Disclosure: SAT Remix set me up with a Monthly subscription so I could review their product. Vocabulary words are something kids seem to have dreaded for decades. Teachers would pass out lists and kids were told to memorize the words for a test. I could spend multiple posts on why that method could be tweaked, but that is for another time. There is no way around the importance of testing as it stands right now, so it is important to find ways to help students learn valuable information they might encounter on tests like ACT and SAT. SAT Remix has found an interesting way reach students and teachers wherever they are to help them learn words they need for the future. "SAT Remix makes it easy for you to learn and retain more than 300 of the most-missed words on the SAT in a format that fits your life: your phone. Every Sunday through Thursday, SAT Remix will automatically deliver vocab lessons to your phone so you can study anywhere—on the go or on the couch. It's on your time, on your phone, and on your terms. SAT Remix is the only SAT vocabulary prep program available to any cell phone, and it's perfect for busy students who can't focus when they're tied to a desk on a Saturday afternoon. And don't worry about your parents bugging you to study every day—we've got it covered. Our automatically delivered lessons are a daily reminder." I was drawn to the fact the word were going to be sent directly to the phone. Sunday - Thursday, my phone rings with a text message with a link to view the word and listen to the definition and a phone number in case I do not have a web enabled phone so I can listen to the word and definition. "In vocabulary tests, students that listen to lessons set to music tend to score up to 40% higher than students that study from a book. Cramming words by reading or doing flash cards doesn't work, and it's not much fun either. SAT Remix's unique and powerful system has a scientific foundation that makes learning a lot easier and more fun. Research conducted in the 70s by Bulgarian physician Georgi Lozanov showed that education combined with music puts the student in a relaxed but alert state called the "alpha state," which is ideal for learning. SAT Remix's unique mobile lessons take advantage of this state to help you digest and retain information without breaking a sweat or cracking a book." The music that that plays along with each word is very nice. I'm not a scientist, but it has a positive impact on me. You can listen to a couple of examples by clicking on the picture below. Each word is also given in two sentences so students can hear the usage. That is something I think is very important. Students can memorize definitions, but usage is a different beast. I often find that is the toughest part of vocabulary units. My phone would ring in with a new word at 7pm and I would read it to my wife and ask her what she thought it meant. It was a fun little thing we got into the habit of doing. Luckily our college education paid off and we felt very smart because we know almost every single word. For the ones we did not know we would try and work them into everyday conversation. (Yes, we are nerds) I guess I'm trying to say that SAT Remix was very easy for me to integrate into my daily life. I got the word, I listened to the definition and examples and I could move on. If I wanted to go back and listen to a word, I could just pull it up on the phone. The one question most people want to know when reading a review is, "Is it worth it?" I think it depends on the package and what you are trying to get out of it. I found the monthly package very nice and have used it for almost 3 months. If you are going to use it for the Summer to help a kid prepare for the SAT, maybe the Three- Month package is a good idea. Want it for just a semester, then go for the Six-Month Package. I think each package is priced correctly for what they are providing. I have one suggestion for SAT Remix that I think would be wonderfully helpful. I wish I could access all of the words that have been sent to me on my account page. There are times when I'm at the computer and I wouldn't mind listening to those words that have been sent to me without having to forward the text to my email to get the link. By having the words on the user account, a person can access them when they have time at a computer. With that access, users could create lists or labels for certain words they are struggling with and want to focus more on. Denoting verbs, nouns, adjectives, etc would be another way to categorize certain words on the user account page. Once you have signed up with SAT Remix, there isn't much need to go back to the website. By allowing users to access the words, it would drive traffic to the site which would be good for business. 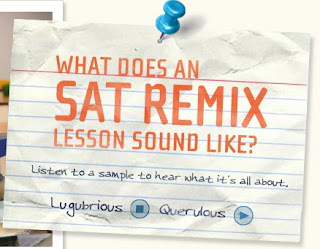 Overall, I think SAT Remix is a cool product that can really help those busy students get access to important vocabulary words they need to know for state tests and college entry exams. Try out the one month subscription and see how you like it. I had a blast with it and can't wait to see what they have up their sleeve next. This open letter is to Ms. Swift in an effort to get her permission to use a couple of her songs for a student production of Romeo and Juliet. My name is Nicholas Provenzano and I am a high school English teacher at Grosse Pointe South High School in Grosse Pointe Farms, MI. I started a big project this year with my Freshman English class. They are producing an updated version of Romeo and Juliet with another high school in Van Meter, IA. The goal of the project is to have students dive into Romeo and Juliet by working on different parts of a production. The kids are very excited about the project and have been working very hard for the better part of a month. We are looking to premiere our finished film on April 30th just for the students and parents at both schools. We are not selling tickets or copies of the production, just showing the school the awesome project the kids completed. You can read more about the specifics on the project wiki. One part of the project is creating the soundtrack to accompany the production. While reviewing the work the students had completed, I noticed that two of your songs appeared regularly on my students' play lists, "Love Story" and "You Belong With Me". When asked by the students to include them in the finished movie I told them I think these are wonderfully written songs that would be perfect for the story they have written, but they are not allowed to use the songs without the artist's permission. They were bummed, but are still working hard to create a great production. However, I'm not one to give up that easy and let my kids down. This is where I hope you can help. I want to ask for your permission to use your two songs in the student's production of Romeo and Juliet. My kids have been working hard all year and this project is the culmination of months of dedication. I always tell kids that hard work pays off and you are rewarded in the end. I cannot think of anything more fitting that adding these songs to our project. It never hurts to ask and the best way I thought I could get a hold of you was to use my connection with teachers from all over the world to reach out to you in the hopes of a response. I would love to surprise my students and let them know they got permission. I know this is something they would remember for years to come and your approval would be the cherry on top of an already amazing cake. Thanks for your time and hope all things are well where you are. If you have any questions, please feel free to contact me at Nicholas.Provenzano@gpschools.org, @TheNerdyTeacher, or my school Twitter account @MrProvenzano. I have had time to think about all of the different things I saw, heard and experienced at #MACUL11 and here are some of my thoughts. Rushton Hurley (@RushtonH) kicked off the conference with a wonderful Keynote. His talk on “What Technology Has Changed and Hasn’t Changed with Teacher and Learning” was spot on. I also had the chance to sit in on his presentation entitled, “Technology and Staff Morale”. I was really excited about this presentation. Staff Morale has been at an all time low in my building and I feel that it has been pretty rough across the state. He provided a link to some wonderful resources tinyurl.com/RH-MACUL11 that educators can use to make life a little easier and stop the isolation many teachers suffer in their building. I also had the chance to chat with Rushton in the Social Media Café. He is a very nice person. We just talked and shared some ideas and got to thinking about the importance of collaboration and communication. I highly suggest you follow him on Twitter and send him a hello. I felt there was too much hardware and not enough software at #MACUL11. Now, my district already had committed to Smartboards, so over half of the Vendor area was not useful. However, if you were looking for Hardware to bring to your school district, it was a nice setup. 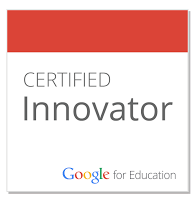 What I was hoping to see more of where companies designed to reach out to the classroom teacher. 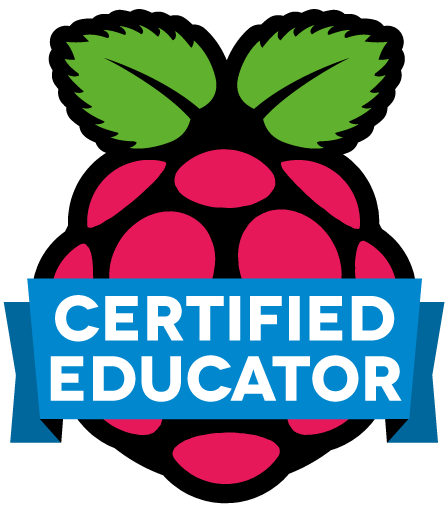 There were some that I think are great for the classroom teacher, BrainPop, TechSmith and StrataLogica to name just a few. I was bummed about the Social Media Café. I did not like the location. It was off to the side and just outside the vendor area. It was not near the main traffic of the conference. It would have been better to place it outside of the vendor area next to the restaurant. There was great traffic and tables and chairs. Many people were already hanging out there and connecting. At the opposite end of the Social Media Café, there were long tables and chairs. This was filled with people and their laptops on the first day. It seemed to become a Social Media Café. On the 2nd day of the conference, the tables and chairs were gone. The times that I was in the SMC, it was pretty dead. I’m not sure why. They SMC had small Ottomans for people to use. I tended to sit on the ground and use the ottoman as a place to set my iPad. It wasn’t a very comfortable way to set up shop, but it was ok for me. For others though, it might not have been an attractive situation. There might be another reason though. 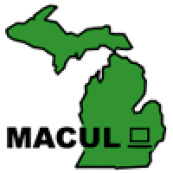 MACUL says that over 4,000 teachers were in attendance. That is awesome. Whenever that many teachers get together, great things are going to happen. However, I watched the Twitter stream and very few people were actively tweeting. I would say less than 10% of the 4,000 attendees were using Twitter or other social media. When I arrived, I was surprised that nobody had created a check-in for 4square. I happily created one and became Mayor of #MACUL11! I feel that MACUL needs to make a major push to get teachers connected using Social Media. They have started with a Facebook account, Flickr stream, a MACUL Ning and their own Twitter account, but more needs to be done. My Twitter/PLN presentation was moderately attended (15) and they seemed excited to join Twitter and I hope they stick to it. One of the ways they will is by supporting them. I intend to keep an eye on those Tweeters and keep them engaged after the conference. As an education community that is spread far and wide in this great Mitten, I feel that Social Media is the way to keep teachers connected and sharing. I’m going to try and get as many Michiganders connected using Social Media to help support education in this state. I think there was a great selection of sessions. I was able to see Michael Kaechele’s presentation “Relate, Collaborate and Create”, Steve Dembo’s “iThink iNeed iPads in the Classroom”, Dan Spencer’s “Learning at Their Own Pace” and Rushton Hurley’s “Technology and Staff Morale”. I wish I could have seen more, but I presented twice so that limits the amount that I could attend. Even in my presentations, I felt like I learned a thing or two from the people that attended. I loved the conference. There were some things that I think could be improved for next year, but I think that should be the goal of every conference. Conferences should keep growing and building to be the best event of the year. The connection I got to make at #MACUL11 were amazing. I don’t have the time or space to mention everyone, but you know who you are. I love meeting passionate educators. It gets me excited because I see another person I get to share with and learn from. That is what makes conference great! When it comes down to the meat of it, teachers go to conference to share and learn. My next post is going to address this issue in full.